It might be impossible for any one person to adopt every pet in need of a good home, but these kids are doing the next best thing - by bringing shy shelter dogs out of their shells. An innovative new idea, called the Shelter Buddies Reading Program, is already making a huge difference for animals at the Humane Society of Missouri. The idea is simple: train kids to read to dogs as a way of readying them for forever homes, all while instilling a greater sense of empathy in the youngsters, too. "We wanted to help our shy and fearful dog without forcing physical interaction with them to see the positive effect that could have on them," program director Jo Klepacki told The Dodo. "We launched the program last Christmas, but now we offer it once a month." Kids age 6 to 15 can sign up for the program online, after which they are trained how to read a dog's body language to tell if they are stressed out or anxious. Those pets, say Klepacki, are the ones most in need of special attention. 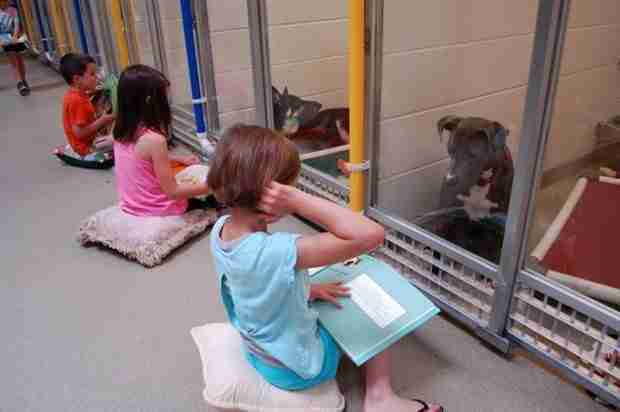 The young volunteers are then encouraged to sit in front of a shy dog's kennel with a book and read to them - a simple gesture that can go a long way. "Ideally that shy and fearful dog will approach and show interest. If so, the kids reenforce that behavior by tossing them a treat," said Klepacki. "What this is also doing is to bring the animals to the front in case potential adopters come through. They are more likely to get adopted if they are approaching and interacting, rather than hiding in the back or cowering"
The more timid dogs aren't the only ones benefiting from the program. High-energy dogs, too, have shown improvements from being read to. 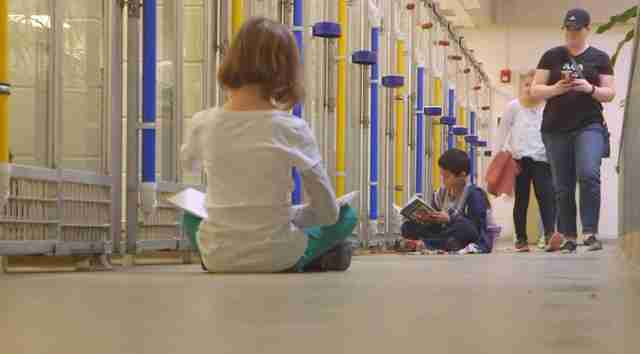 "Hearing a child reading can really calm those animals," Klepacki said. "It is incredible, the response we've seen in these dogs." 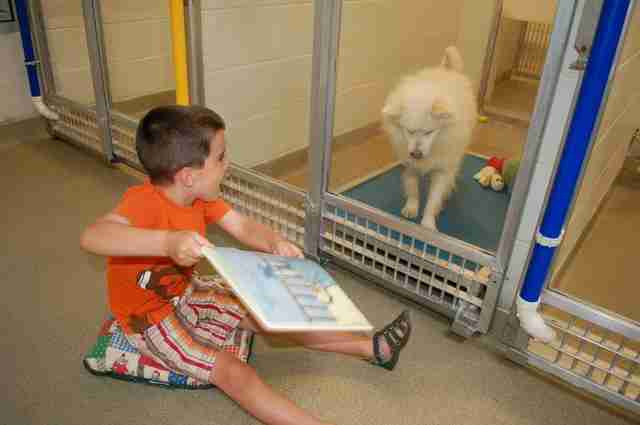 Once a child has completed the 10 hour training program, learning to work with the animals under supervision, they can then come back with their parents any time to sit and read to the dogs. But while the added practice is no doubt beneficial to them as students, they're getting something even more important out of it. 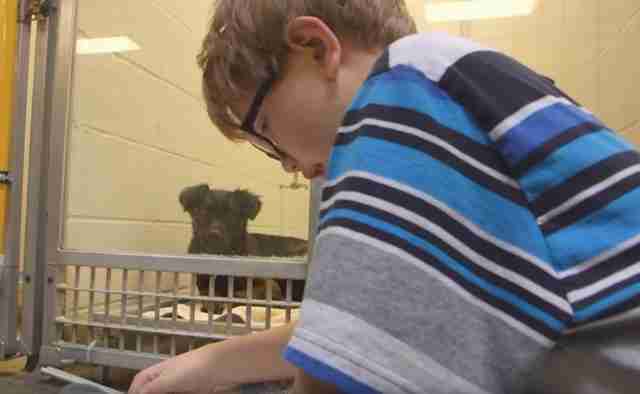 "It's encouraging children to develop empathy with animals. It's a peaceful, quiet exercise. They're seeing fearfulness in these animals, and seeing the positive affect they can have," said Klepacki. "It encourages them to look at things from an animals perspective. That helps them better connect with animals and people in their lives." Though the reading program has only recently been launched, Klepacki says it's been successful in helping dogs find forever homes. Best of all, kids in the area are as excited as anyone about getting involved; sign-ups have been through the roof. If all goes well, Klepacki hopes to expand the reading program to all of the Humane Society of Missouri's shelters - and to cats as well. "I'm really excited about this program," she said. To learn how you can help adoptable animals in your area, visit your local animal shelter.